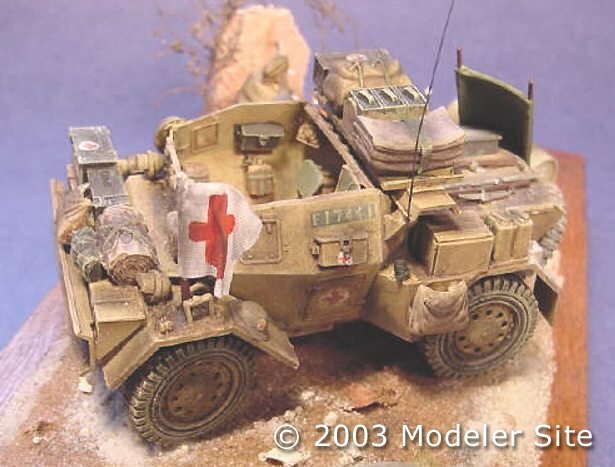 A doctor or medic attached to the 8th Army Desert Rats was given a Daimler scout car to use as a runabout between the aid stations and field posts. A refueling post is the subject I chose to portray this vehicle although I’m sure there weren’t too many lulls in his kind of action. 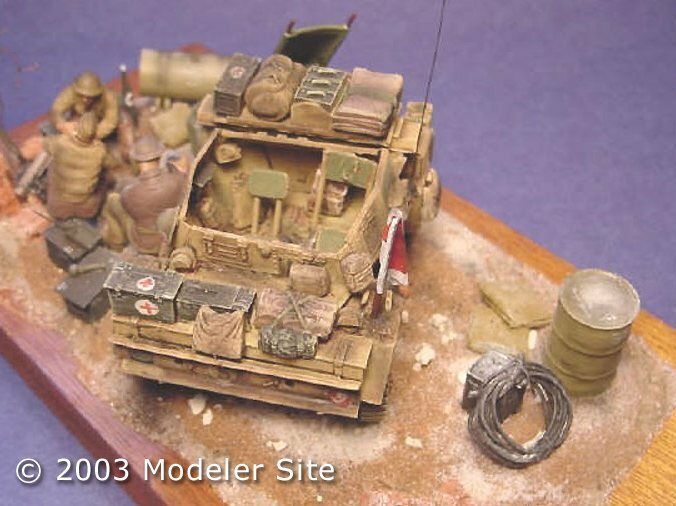 The model is the Daimler Scout Car by Tamiya, painted a desert colour, given a wash of brown and weathered with pastels. 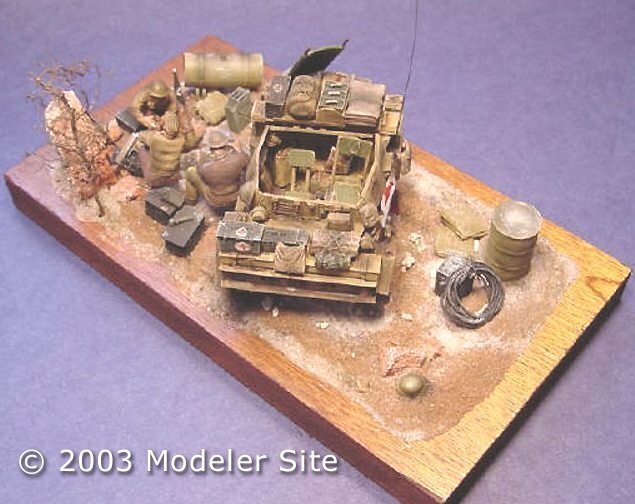 The extra stowage came from various Tamiya and Italeri kits. On the ground the scene of the campfire and the presence of extra gear gives one the feeling of a long days work well done. 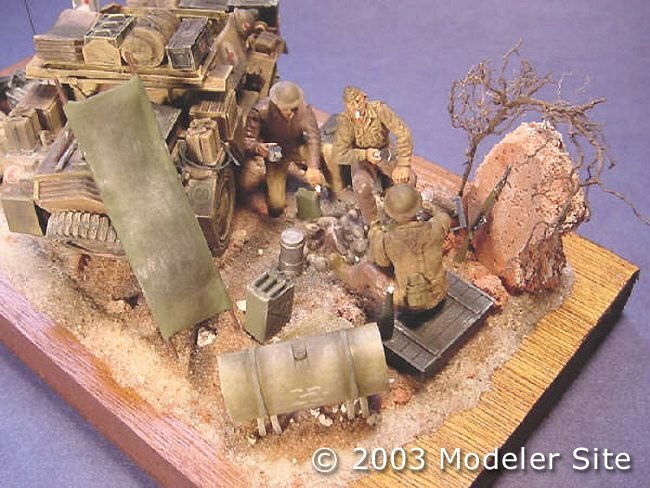 The campfire came from an old German 8rad Armoured Car kit by Monogram, the field stove came from the parts box, the holding tank for fuel came from a Crusader kit and the stretcher came from the Tamiya Rover kit. The wall is a piece of broken up celluclay base, ground cover is sand ballast from a railroad shop and cat litter and the bush is a root taken from the backyard. 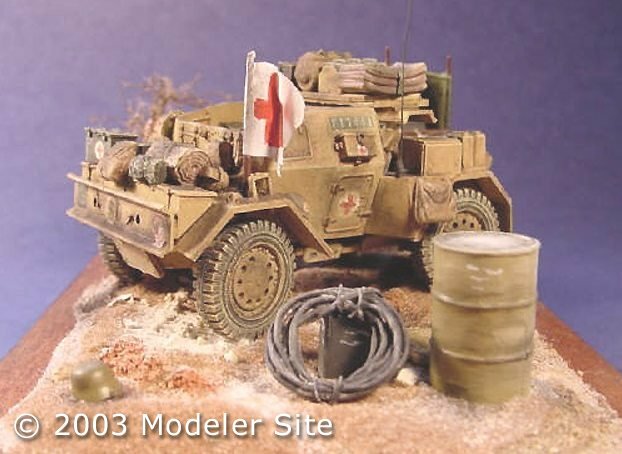 Figures are from Tamiya.and the Red Cross flag was scratched.